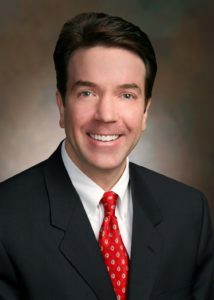 A graduate of Canisius College, Michael Straeck is President of Buffalo Ultrasound. Throughout his twenty four (24) year career with Buffalo Ultrasound the company has grown from five (5) employees to currently employing sixty five (65). Buffalo Ultrasound was founded in 1987 and provides a variety of imaging services to acute care facilities, physicians’ offices, long term care, correctional facilities, patients confined to their own home and operates three (3) imaging centers. Mr Straeck serves on the following boards: Brothers of Mercy Foundation, ECMC Lifeline Foundation — Vice Chair, Niagara Lutheran Health Foundation — Trustee, National Association of Portable X-Ray Providers — Chairman, and is active with a number of other foundations and charities throughout Western New York. Mr. Straeck has been recognized by Who’s Who Among Students in American Universities and Colleges, Who’s Who in Healthcare, Health Care 50, 40 under 40 and is a Schwinn Cycling Instructor.